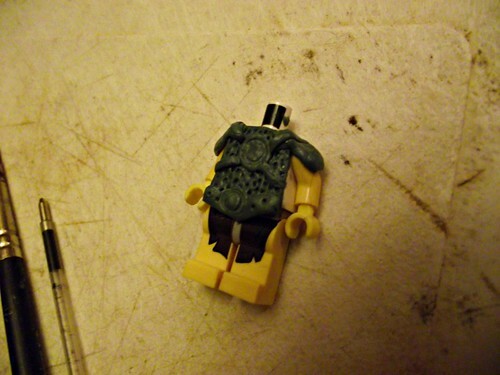 On the flickr community, There is a lego elder scrolls group. The group is starting to host an elderscrolls rpg. This isn't an advert, Merely an explanation as to why I molded it. This is the Scaled armor piece as seen in TES v: Skyrim. It is only a WIP of course But I thought that I'd share it.